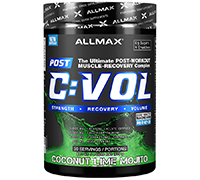 CVOL™ is a FULL-SPECTRUM, POST-WORKOUT RECOVERY DRINK designed to deliver increases in Muscle Strength and Volume. Get more out of every workout. Get stronger every time you train. 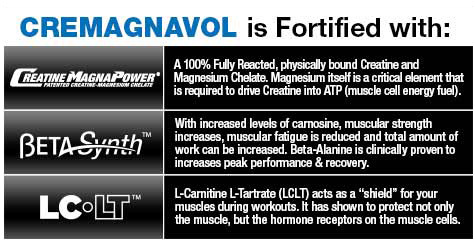 CVOL has the ingredients that will help your muscles recover better, faster; every time. With two of the coolest, most refreshing flavors ever to hit the post-workout stage. 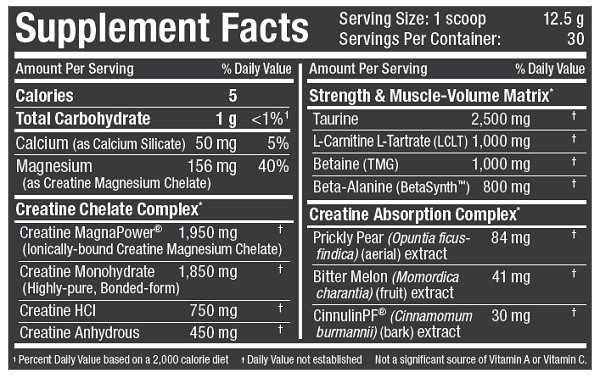 CVOL™ has been formulated with 5 g of 4 types of Creatine, 2.5 g L-Taurine, 1 g L-Carnitine L-Tartrate, 800 mg Beta-Alanine and 800 mg Betaine; a rock-star list of the “go-to” ingredients, dosed at effective levels for rapid recovery from intense training. CVOL™ fits your workout. It’s absolutely delicious, 100% sugar-free with next to no carbs. Want to build your gains faster than you ever thought possible? The Creatine Absorption Complex in CVOL has a specific effect on the threshold of cellular nutrient uptake; simply stated, it makes it easier. 100% CLEAN LABEL PROTOCOL: With ALLMAX® products, you know what you’re getting. We don’t hide behind proprietary blends. Every ingredient is individually listed with a precise mg measurement. The Clean Label Protocol holds us to a higher standard. You can be sure you are getting the highest quality.